"The Teen Titans are just the Justice Little League." I laughed and immediately tweeted this. "Lying doesn't really help. And spin can only go so far." This is so true. Marvel and DC should take note of this and apply. "In this digital age we are dealing with the most cynical group of readers we could ever hope to nurture. And we created them." Scroll through comments to articles, and you'll see prime examples of this. "They want me for the new direction not the nostalgia. That makes me feel like the pretty girl everyone wants to dance with." "Everything is by committee. The New 52 is by committee. The Darkness of Hollywood is creeping out at DC. I'm just waiting for the Comic Book Writer's Guild. You must be millionaires to read comics. I feel like this every Wednesday. I don't want to draw storyboards I want to draw comics. I don't want to read storyboards! I want to read comics. Let me just do the best comic I can. Spoken like a professional, a passionate artist, and someone giving his audience a human moment. "Things are being second guessed left and right, a case of too many chiefs, not enough Indians now. Whether it will work? Who am I to say. They want it to be like Hollywood, and it’s becoming like Hollywood, in producing comics, and what you have is a corporate room deciding where things are going to go. 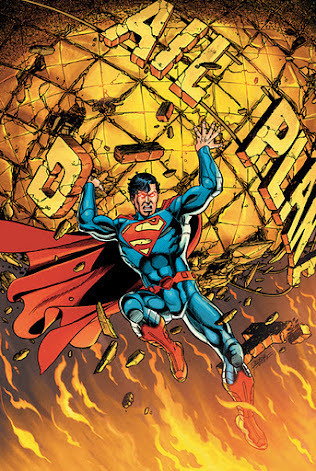 And part of the reason for me leaving Superman is that I had certain ideas I wanted to do unfortunately, stuff that they okay one day, they would change their mind the next day, and it was becoming way too difficult, slowing us down. That was unfortunate. I hope they succeed for the industry’s sake. In the case of Superman they didn’t want a writer, they wanted a typewriter. They have to deal with people producing the movie, who also had a say in what’s going on in the comic as well. My one fear, I’m not producing a comic, I’m producing a storyboard for a movie, that’s not what I wanted to do. So I decided to bow out, and stay on as penciller, where I have fewer headaches – not no headaches, but fewer headaches, In doing World’s Finest, everything’s still being decided at the last minute. They needed a design for Power Girl, they didn’t ask me.They finally gave me the design, they needed to get it out solicitations, got it drawn, got it colored, got it printed in the solicitation, they called me a week later, we changed our mind on the Power Girl costumes, so now I have to do a patch on the first issue cover and for a mercenary, practical and financial point of view, I just lost the resale value on my artwork, because now the character’s not the same character that appears on the cover and they screwed me out of that, and I shouldn’t have to be thinking about that but you guys really have to make up your minds! When an artists like Dan Jurgens, one of the fastest most professional in the industry, when I was working with him on Teen Titans, he was always three months ahead of schedule. I was having a hell of a time keeping up with him. On Green Arrow, he was basically trying just to make the deadline and not be late, because kept changing their mind on the stories. In the case of Superman I didn’t want to wait around any more. I need to get away, it was not conducive. I didn’t want to end up hating working on the book." DC has been doing a great job staying on time, keeping the line engaging and fresh, and giving readers a solid universe to jump into, but how long can you keep that up with so few, as George put it, Indians? I think we are starting to see the cracks in the DC comics corporate machine, and I just hope they can get past the spin of Before Watchmen, "a" gay Green Lantern, and zero issues to focus on what is really important; making the best comics. 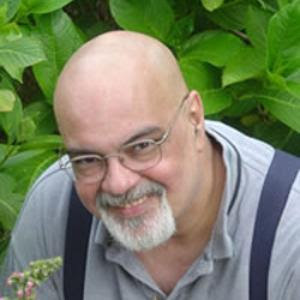 Here is the full George Perez Q&A thanks to Jamie Colville. Original Bleeding Cool Article by Rich Johnston.